In his newest EP, Fragile Humans, Joon Guillen a.k.a. 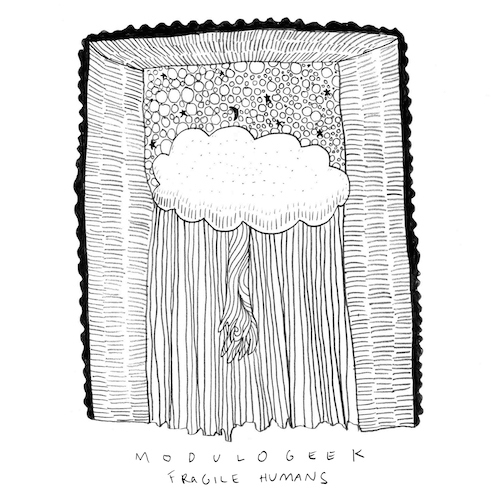 Modulogeek takes a step beyond his well-loved oeuvre, and advances in his exploration of sound design, focusing primarily on density and space. The majority of samples in this release are “found sounds” from random audio recordings he accumulated throughout the years. “I tried to be less methodical in exchange for [being able to] capture spontaneous performances,” he explains. The resulting sound, while still bearing evidence of Guillen’s melodic sensibilities, is indicative of an exciting transition for the artist; the stormy dance-floor opener pulsates with a new vitality and signals creative possibilities.